Om Ah Hum | Sana Ako si Ricky Lee! In my preceding post I talked about this short but very useful and powerful mantra ‘OM AH HUM’. I suggest you read the post to completely understand this post. You can click here. As mentioned, OM AH HUM is a very short mantra but quite useful and powerful. It is a mantra that helps cleanse one from an immediate negative karma. At the same time it helps cleanse an environment or a room of negative energies. However, the truth is not everybody can always chant the mantra, although this is the most preferred way of tapping into the energy of the mantra. And so if you need to tap into the power of this mantra, but unable to chant it continuously, one other very effective way is to wear the symbolic script of the said mantra OM AH HUM. Simply wearing the symbolic script of the mantra OM AH HUM, one can constantly tap into it’s power. The best way of wearing this mantra is by fashioning it into a pendant made of gold or silver. How Many Incense Should We Really Light? People often asks me as to how much incense stick to use when lighting it as an offering to the Buddhas or Bodhisattvas or Deities or Taoist Gods. Traditionally speaking people do really light three incense sticks and when one is petitioning for something, it is sometimes advised to use nine incense sticks, if what you are petitioning for concerns about an immediate physical danger, then seven incense sticks are used. However, times have changed. People are now more conscious about Global Warming, and globally Buddhist temples are becoming more aware as to how much they or we are contributing to global warming. Our incense sticks these days are no longer as environmentally friendly as what they used in the old days, which is very organic and much harder to do. In fact, in Malaysia alone, there is now only one family who makes an organic and environmentally friendlier incense stick, and it is said that they won’t last much long because their price is much higher than a commercially made incense stick. 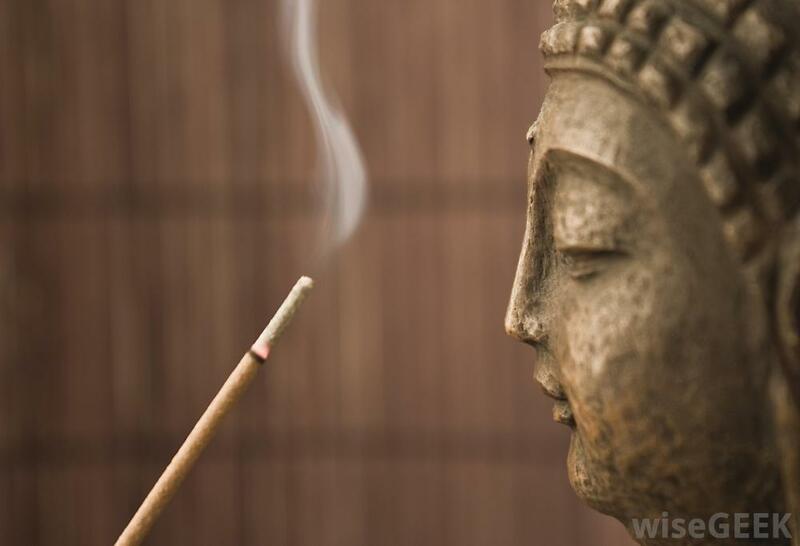 But the problem is the incense stick that we used these days contributes a lot to global warming and to answer this concern, a lot of Buddhist Temples around the world has now started encouraging people to simply light one incense stick. ONE HEART, ONE INCENSE. Some temples even encourage that ONE HEART, ONE FAMILY, ONE INCENSE. Meaning, it is the head of the family who is encouraged to light the incense for the whole family. The truth is I find it hard to transfer from three to one. Because three for me always represents, OM AH HUM or Buddha, Dharma, and Sangha. But if you look at Buddhist scriptures, there are really nowhere in them that say we needed to light three incense sticks. And if you look at the number of incense sticks being ‘unnecessarily’ burned everyday, and the damage it is doing to the environment, it is really more Buddhist to simply light one incense stick. Again ONE HEART, ONE INCENSE and ONE HEART, ONE FAMILY, ONE INCENSE!